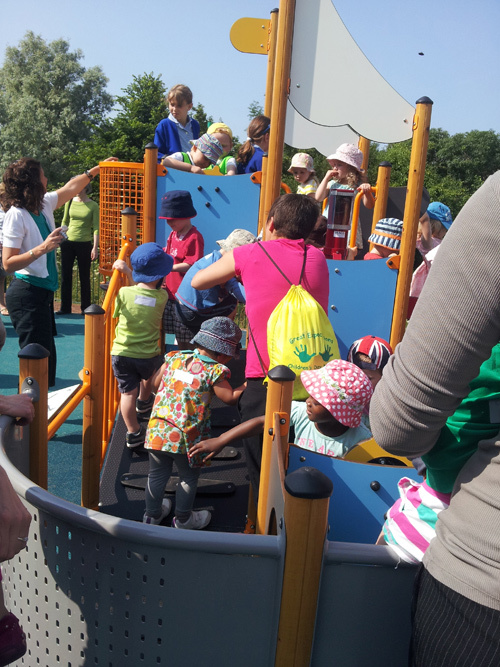 A NEW-LOOK play area in Downend has been officially opened – much to the delight of mums, dads and youngsters. The play area in Leap Valley now boasts swings, a see-saw and mushrooms children can climb or sit on. But the piece de résistance is a colourful pirate ship climbing frame complete with fun telescopes. First to use the equipment were tots from Great Expectations Day Nursery in nearby Baugh Gardens. 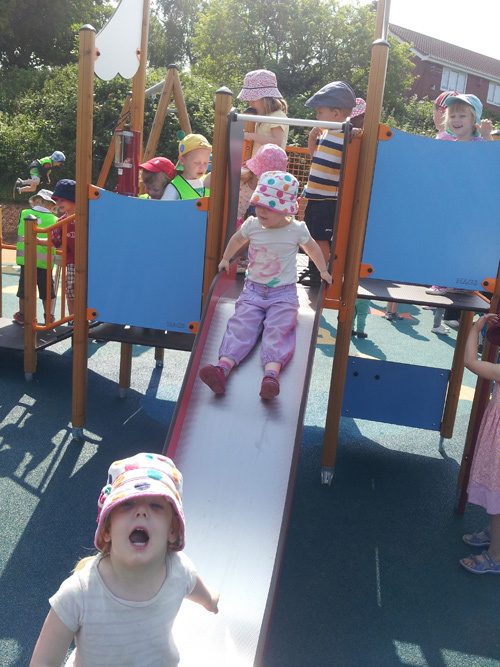 And judging by their eagerness to use it, the play area has already been given a huge thumbs up. 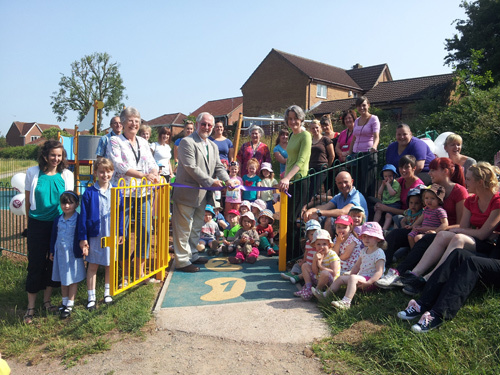 During an official opening ceremony, the ribbon was cut by Graeme Riley, chair of Downend and Bromley Heath Parish Council, which contributed the cost of the new equipment. 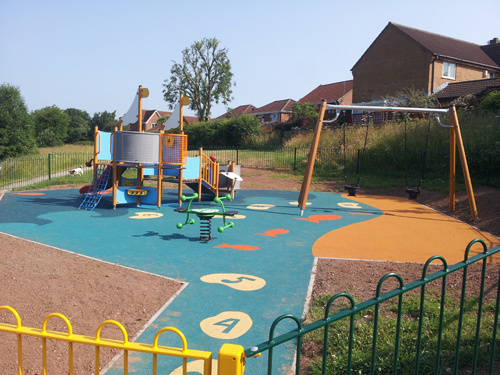 South Gloucestershire Council, which arranged and funded the installation, was represented by councillors Claire Young and James Hunt and play coordinator Tina Rainey. 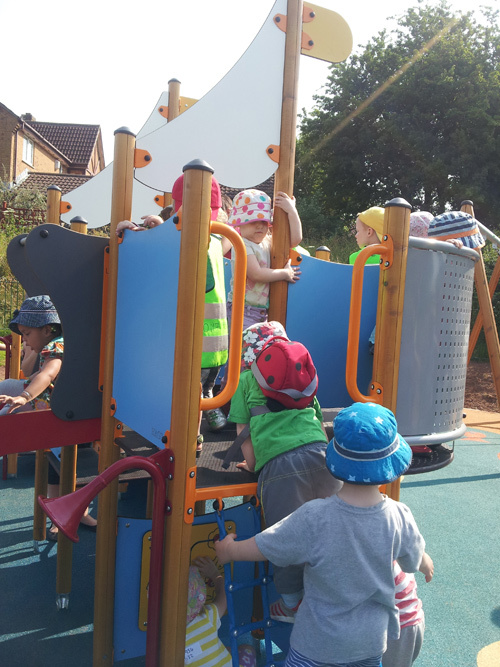 The play area, off Aintree Drive, was installed 23 years ago when the houses on the estate were built. Over the years it had become dilapidated, causing local parents to travel further afield to seek out newer play equipment for their children. The parish council has also earmarked cash to improve play facilities at King George V Park in Downend. Equipment will be aimed at older children up to the age of eight and will complement existing gym-style equipment which includes a zip wire, table tennis table and a basket swing. It is likely to feature adventure-style installations such as climbing ropes as well as equipment which will be accessible to children with disabilities. Work is expected to start in September and will take several weeks.